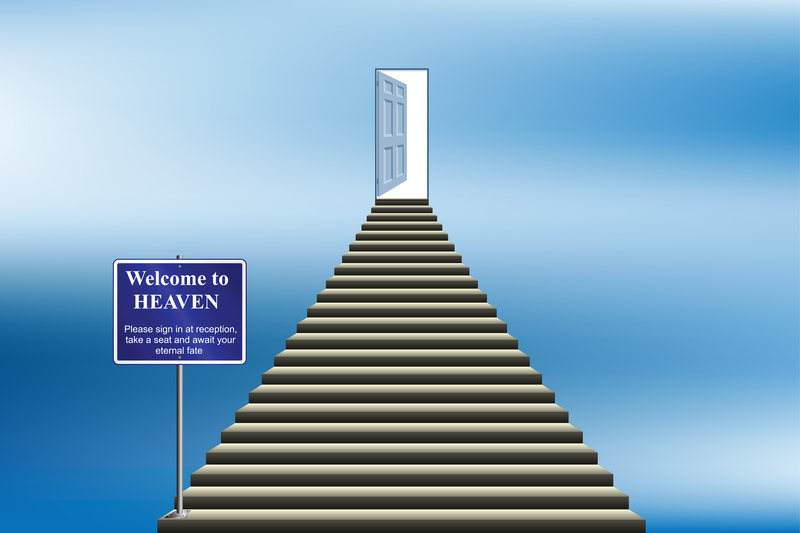 When someone close to you dies, it triggers thoughts of whether you believe in heaven and what it would be like. I have not believed in pearly gates and streets paved in gold since I was a young child, but that doesn’t mean I don’t think there’s a heaven. I just don’t need precious gems and fancy streets around for all of eternity. I have this other idea in mind; I want my heavenly reward to be the ability to time travel. I’ll admit I’m a sci-fi fan, but I’m not really thinking in terms of H.G. Wells—I don’t think we can actually physically be there or change what’s already happened. My idea of a good time after death would be the ability to go back and forth through periods in my life to experience again the joys and sorrows. We forget so much of what happens to us, and I suppose if we could travel this way, we’d discover how much we embellish the good times and brick up the bad to protect ourselves. But if you’ve already lived your life and you can’t do anything about it, wouldn’t it be fun to just be an observer and remember the details? My idea wouldn’t stop with our own lives—that wouldn’t take all of eternity. We might also have the ability to go back into previous lives, or if reincarnation does not exist, to previous eras of time to study how they dressed and acted or what really happened during certain historical events. No one ever accused me of being a conventional thinker, and that’s just fine with me. I do think my idea of heaven is based partly on the fact I consider myself an observer. I have spent all of my life watching things happen, then recording them. It’s worked well in my pursuit of a career because it’s what journalists, authors and photographers do, three of the jobs I’ve spent the most time loving. I’ve always known I was not the individual that was going to organize the best event or campaign ever, make a million bucks, make a huge impact on society or give myself completely to a particular cause. I’m just here to see what happens and put it down on paper. Come to think of it, I may have received this trait from my dad, the newspaper editor. So if my theory holds true about heaven, that means daddy is zipping around history right now, having a wonderful time.